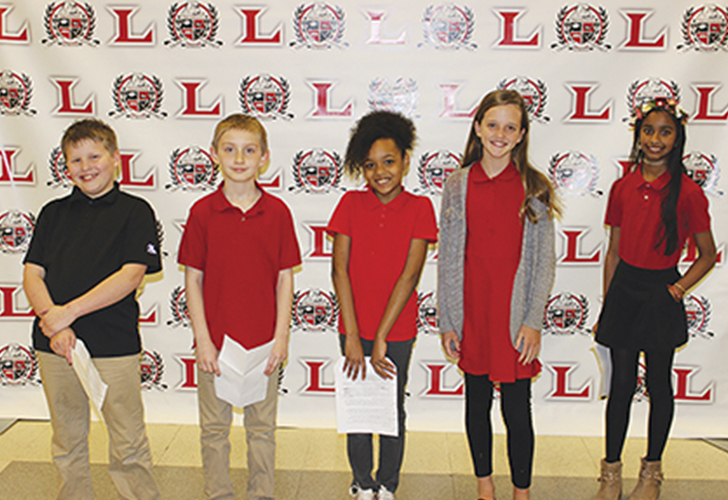 At the March meeting of the Laurel School Board, the board recognized the accomplishments of students from several schools within the district. Fourth graders from Laurel Elementary School won an award from the State of Delaware for a rap song they wrote to celebrate Delaware Day and students from Laurel High School’s Educators Rising Career & Technical Student Organization competed with 19 other schools in the “Inside Our Schools” competition. Laurel Elementary’s fourth grade classes who worked on the rap were Mrs. Davenport, Mrs. Eskridge, Mrs. Langley and Mrs. Truitt, Mrs. McCool, Mrs. Pastusak and Mrs. Hartstein, Mrs. Voges, and Miss Wheatley. The competition was sponsored by the state to celebrate Delaware Day which is Dec. 7. On this day we honor Delaware becoming the first state on Dec. 7, 1787 to ratify the Federal Constitution, thus making Delaware the first state in the new nation. The students presented the rap to the board who were also impressed. On March 5, four students from Laurel High School competed in three competitions. Tyler Keeler, Taylor Hutson, Jacqueline Herrmann, and Paige McCarty competed in the “Inside Our Schools” presentation, which highlights innovative educational practices utilized within the Laurel School District. On April 8, Paige McCarty and Tyler Keeler accompanied Stump to the Delaware Pathways Conference where the students represented the entire K-12 Teacher Academy Program for the State of Delaware.